Changes in commodity prices, such as the fall in coffee prices from 2000 to 2004, affect land use decisions on farms, and the environmental services they provide. A survey of 50 farms showed a 35 % loss in the area under coffee between 2000 and 2004 below 700 m with the majority of this area (64 %) being coffee agroforest systems that included native forest species. Loss of coffee only occurred on large and medium-scale farms; there was no change in area on cooperatives. Coffee productivity declined below 1,100 m altitude for sun and Inga shade coffee, but only below 700 m altitude for agroforest coffee. Coffee productivity was 37–53 % lower under agroforests than other systems. Increases in rubber and pasture were related to low altitude large-scale farms, and bananas and timber plantations to mid-altitude farms. Average aboveground carbon stocks for coffee agroforests of 39 t C ha−1 was similar to rubber plantations, but one-third to one half that of natural forest and timber plantations, respectively. Coffee agroforests had the highest native tree diversity of the productive systems (7–12 species ha−1) but lower than natural forest (31 species ha−1). Conversion of coffee agroforest to other land uses always led to a reduction in the quality of habitat for native biodiversity, especially avian, but was concentrated among certain farm types. 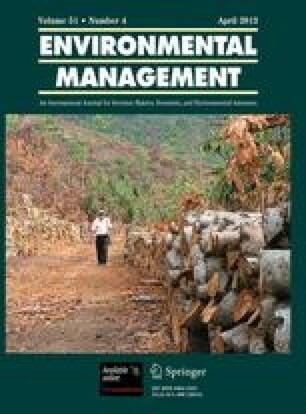 Sustaining coffee agroforests for biodiversity conservation would require targeted interventions such as direct payments or market incentives specifically for biodiversity. This study was conducted by the Guatemala National Coffee Association, with funding from the British Embassy in Guatemala and logistic support from the Palajunoj Producers Association. We thank Stephen Young for his advice on the statistical analysis of the land use change data. See Tables 4, 5, and 6. Coffee agroforest with diverse shade of timber species, fruit trees, and Inga spp. Dendropanax arboreus (L.) Decne. & Planch.